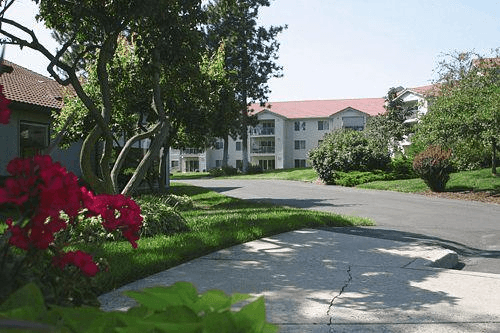 Active seniors choose Fairwood Retirement Village, a 55+ community on 20 beautiful acres. Residents enjoy comfort and security, delicious meals, fitness programs and more! Fairwood gives you the ability to choose whether to purchase or to lease. Fairwood's independent units are set up as a buy in system, with prices ranging from $104,500 to $244,000 and sizes ranging from 611 square feet to 2,303 square feet. The resident or the resident's estate receives 80% of this one time fee back once we resell the unit and get the new money in. In addition to the buy in fee, there is a monthly amenities fee ranging from $1,011-$1,617 per month depending on size and number of residents in the unit. This fee includes: The one main meal, served at dinner, all utilities except personal phone and cable TV, maintenance and all of Fairwood's services. As compared to retirement communities where there is a month-to-month fee with no investment, Fairwood is more profitable for you, as your estate will be preserved for your family. If you have the resources to buy in, it is financially more profitable for you to buy in. The average resident lives here for seven to ten years. Fairwood now also offers leases on selected units. This gives you the flexibility to pay moth-to-month and enjoy all the amenities that Fairwood has to offer. Prices range from $1,700-$2,400 for single occupancy and $1,850-2,800 for double occupancy depending on size and location of the unit.